The World War 1 memorial in St.Oswalds Church, Collingham lists 16 men of the village who served in World War One and gave their lives. Their names and their stories are listed on the left. 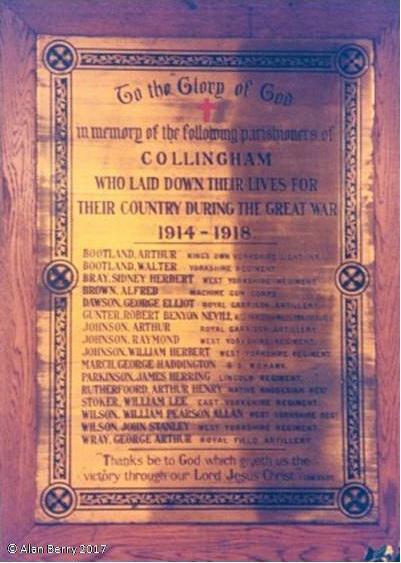 In addition the Roll of Honour for Linton, provides an additional name and we have found other Men with village connections who are not named on the Collingham Memorial.